Donald Trump on board Air Force One. 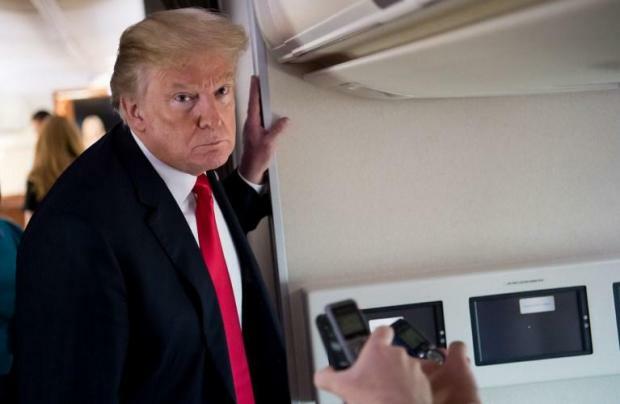 US President Donald Trump was fooled by a comedian into taking a prank call while on board Air Force One. Trump appears to have returned a prank phone call from a comedian pretending to be the senator Robert Menendez on Wednesday as he was returning to Washington DC from a rally in North Dakota. Comedian John Melendez says he spoke to the president's son-in-law Jared Kushner and received a call back from Trump. Mr Melendez said he claimed to be Senator Menendez and a fake assistant. A White House official told CNN: "Sometimes the [President's] channels are open too widely and mistakes like this happen." Senator Menendez is a Democratic senator from New Jersey and a long-time campaigner for immigration reform.